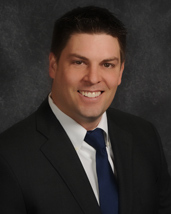 Steve Lenz has been a loan officer in the Joliet-Will County area since 2010. He received his degree in finance from Illinois State University. After careers in the accounting and sporting industries, he decided that it was time for a career change. He takes pride in his work ethic and consistency. Whether he is helping you refinance your current mortgage, or helping you purchase a new home, he will make it a smooth transaction. In Steve’s spare time he enjoys working on his golf game and recreational softball. Contact Steve to take advantage of today’s financial opportunities.